Recently, the American Board of Internal Medicine (ABIM) has touted its evidence base for the need for Maintenanace of Certification® on their website and via Twitter. Examining this "new" evidence base critically for its conflicts of interest is revealing and sheds light into how MOC® is used to support academic medical centers. It took just one reference from ABIM's MOC® references to do so. Heitlinger LA. Do maintenance of certification activities promote positive changes in clinical practice? J Pediatr Gastroenterol Nutr. 2016; 64(5): 655. The article, submitted Nov 23, 2016 and quickly approved by 2 December, 2016, claims "The author reports no conflicts of interest." If there's no conflict disclosed, why keep looking for one? Because in my experience, ABIM's MOC®-supporting references rarely, if ever, disclose their true conflicts of interest. Since MOC® is always about the money, we must follow the money to determine Dr. Heitlinger's conflicts of interest. As expected, I didn't have to look very far. "The study demonstrates that at least for the period of observation that patient care is improved by participation of the diplomates enrolled in the activity." What was the activity? A chart review and data collection. How patient care is actually improved by these activities remains suspect. Sheu et al's study was completely "sponsored and developed by the North American Society of Pediatric Gastroenterology, Hepatology and Nutrition (NASPGHAN) subspecialty field-specific quality improvement (QI) activities to provide Part IV Maintenance of Certification (MOC) credit for ongoing certification of pediatric gaastroenterologists by the American Board of Pediatrics." Of the 134 participating gastroenterologists in Sheu et al's study, "most (94%) were NASPHGAN members." "The optimal way to advance your career is to become an active member of NASPGHAN. Membership in the society is comprised of pediatric gastroenterologists, research scientists, and physician nutritionists with a major and sustained interest in the area of pediatric gastroenterology, hepatology and nutrition. One only has to look at the NASPHGAN Foundation to understand why membership with NASPGHAN is so important to academic medical centers. What is the NASPHGAN Foundation? 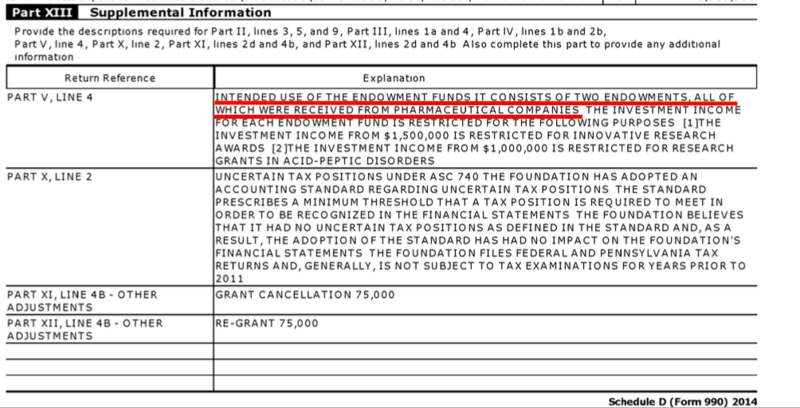 It is a tax-exempt "non-profit" 501(c)(3) organization endowed by pharmaceutical and medical device industry "partners" that distributes its educational and fellowship grants to academic medical center researchers. MOC® and its myriad of Part IV "Quality Improvement" (QI) projects appears to be one way academic physicians can pad their CVs in the name of keeping the pharmaceutical and medical device industry funds flowing to their academic medical centers. I hope this post helps educate my readers how to uncover academic conflicts of interest that exist in many journals beholden to the pharmaceutical and medical device industry. And when it comes to MOC® improving patient outcomes through QI projects, caveat emptor. NASPGHAN Foundation's 2014 Form 990. The incredible story broke yesterday in the Los Angeles Times on the secret life of Carmen A. Puliafito, MD, Dean of the Keck School of Medicine at USC. As of this morning at 06:34AM CST, he was listed as participating in Maintenance of Certification on the ABMS Certification Matters website. Clearly, "Certification Matters" and gives a clear picture of what the divide between bureaucratic leadership in medicine and practicing physicians on the front line of health care today looks like. As I learned to lobby, I went around with groups and watched/listened as individuals presented what they wanted a legislator to know. What I believe I saw was often one very bright group engaged in monologue with another individual or group which may or may not have been listening. I made it my objective to engage in dialogue when lobbying. I began by asking the legislator or their assistant, depending upon with whom I was speaking , if they were aware of the bill. If their answer was no then I would begin with an introduction of the bill and what my position was and why. If yes, then I would say what my position was and ask the individual if they had questions. This allowed me to focus on what the individual needed to know. At times I was asked questions for which I didn’t have answers. I made it a point to write that question down, get the answer and deliver it back to the legislator/assistant who had asked. I could see that that made a difference. Their countenance changed and they said “thank you”. Defensive listeners became receptive listeners. The MOC® product fails in all three. MOC® is a proprietary product that has no return on investment for physicians. It is an obstacle to healthcare delivery and can obstruct a physician’s right to work. Requirements for MOC® have been woven into physician licensing, hospital credentialing and commercial insurance contracts. As a result, if a physician chooses not to participate in what is falsely advertised as a voluntary program, then they may lose their license, credentials or commercial insurance contracts. This is hardly voluntary. The MOC® licensing cycle is so onerous and expensive, that mature, experienced physicians are choosing to retire rather than go through the recertification process again thereby worsening the physician shortage and extracting from the physician population some of the most experienced and knowledgeable individuals. It is not my nature to spend time pointing out the misconduct of others but in this case, we are remiss not to do so. As a result of the actions of the American Board of Internal Medicine (ABIM) and the American Osteopathic Association, both organizations are currently involved in anti-trust, discriminatory and civil-rights lawsuits. 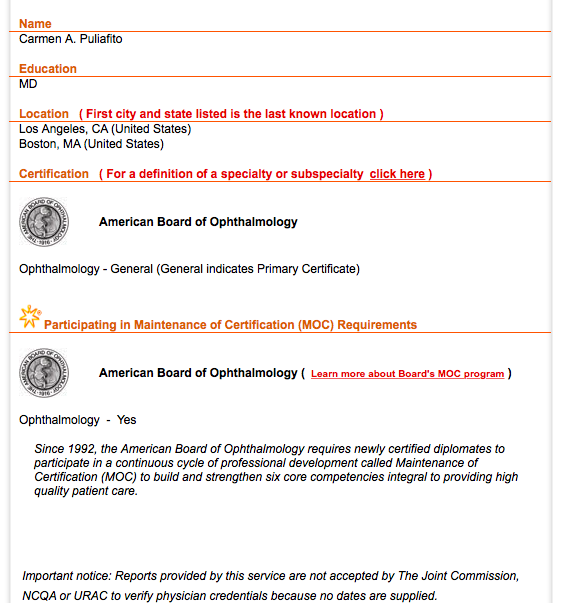 Please refer Wes’s MAINTENANCE OF CERTIFICATION® (MOC®) FACT SHEET. All of the sub specialty organizations require doctors to spend precious time entering data, under the guise of “quality metrics” in order to maintain board certification. What is done with data? Either sell it for a profit or use it for population management. To this, we must object and abstain, albeit at the risk of losing our ability to practice our profession. Prevents hospitals from requiring physicians to secure MOC as a condition of employment or having admitting privileges. Prevents third parties from requiring MOC® as a condition of contracting or payment. Prevents the “board” from requiring MOC® as a condition of being issued a certificate to practice medicine and surgery or osteopathic medicine and surgery. Prepare to encounter opposition from special interest groups. 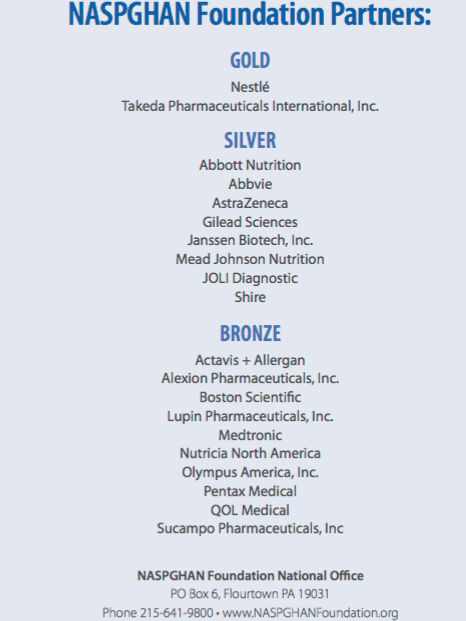 These groups will spread misinformation and tell legislators that the MOC product is necessary to maintain high professional standards and protect public safety. When the ABMS is asked to produce evidence to support these statements, the evidence is of both poor scientific quality and contains conflicts of interest. With regard to maintaining high professional standards, there is no evidence to support this claim. I suggest that you have a brief, direct, concise and simple message to deliver with facts without embellishment. My lobbying experience was so gratifying, that I truly believe I made a difference and am sure I’ll do it again. The Board of Directors of Practicing Physicians of America just approved travel for one of us to be there and provide support for the bill. See you there! Ohio, it's your turn. Don your flak jackets and take action. Give each legislator this ABMS MOC® Fact Sheet. It will be up to you to inform these Ohio legislators the truth about the corrupt ABMS Maintenance of Certification® program to assure passage of HB 273. Addendum: At this time, it appears this bill will be heard sometime in September. If history is any guide, advance notice of the bill's arguments may be made with little advance warning. Stay tuned. Four years ago, I had to "re-board certify" in cardiology and cardiac electrophysiology or lose my ability to practice medicine at the hospital I have worked since 2001. The "de-credentialing" aspect of failing to participate in the American Board of Internal Medicine's (ABIM) self-proclaimed "Maintenance of Certification" (MOC) program infuriated me, but I was left with no choice but to "pay up and a just do it." Like my colleague Meg Edison, MD, I seriously thought about not re-certifying at the time, but my wife intervened and suggested I'd be more effective at combating the requirement while remaining "certified" so I could not be passed off as a disgruntled doctor. So I reluctantly registered for the "program." My! How "re-certification" had changed since 2002! As I registered, I quickly learned that I no longer just had to take a "test" to re-certify. I also had to perform unsupervised research surveys on my patients. I had to dream up a quality assurance project and test it on myself and my clinic. I also had to review volumes of information purchased from the American College of Cardiology for $1350 because if I did not pass my cardiology re-certification, I could not practice as a cardiac electrophysiologist because of the "double jeopardy" dual-board passing requirement in effect at the time. Due to the high-stakes nature of being unable to practice if I failed either of my examinations and to save time, I attended a three and a half day board review course sponsored by members the Heart Rhythm Society for another $1400. Reading the materials I had purchased was not enough. Only if I read the same material on a COMPUTER (with ridiculously slow screen load times), would I receive CME credit for my hours spent studying. All of this pulled me from the patient care I was also trying to provide, took precious free time away from time with my family, and done without any proof that MOC improved my patient's care quality or safety. Puzzled by the complexity of the "new MOC" I had to endure, I started to investigate and write about my experience on this blog. What has transpired since beginning this effort over the last four years has been nothing short of remarkable. I quickly learned that I was not alone - that physicians across the country were just as infuriated as me. I was struck by the unassailable power the ABMS member boards had amassed over physicians' ability to treat their patients. As I kept writing and investigating, I was introduced to others who knew more than I did about the board certification and re-certification folly. I met real leaders in the fight against MOC: Paul Kempen, MD, PhD, Ron Benbassat, MD, Charles Cutler, MD, and Mr. Charles P. Kroll - a forensic accountant and fellow Illinois resident at the time - who helped me understand the depth and breadth of financial shenanigans going on. Mr. Kroll and I eventually reviewed every Form 990 and 1023 tax document we could acquire on the ABIM and its Foundation - all the way back to 1997 (the earliest complete tax form I would find) and the years-long financial, political, and power agendas inherent to MOC became clear. Edward J. Schloss, MD (a fellow electrophysiologist) and I published the history and origins of MOC and the published veiled threats imposed on physicians if they failed to comply contained in the peer-reviewed literature. Gradually, things began to make more sense. What I was not prepared for, however, was the depth and breath of the professional societies' dependence on the program and their impotence at effecting real change. Time and time again, peer-reviewed articles and rebuttals to ABIM's publications weren't published. With ongoing review, it soon became clear that things did not stop with the ABIM. Other ABMS member boards, the hospital lobby, and even entire departments of internal medicine at large state-owned academic medical centers appeared to conspire with the unproven need for MOC. Even the "National Committee on Quality Assurance" and one of the oldest and most influential medical societies (and owner of the New England Journal of Medicine) used MOC to create new revenue sources. Too much money was involved at practicing physicians' expense. Even the hospital lobby, always eager to the control the flow of patients to their group's facilities, were more than happy to play along when doctors brought legislation to states, insisting that MOC be tied to physicians' hospital privileges on the false promise it assured physician competency. On and on our investigation went: from the ABIM Foundation (and the "Choosing Wisely" initiative), to the National Quality Forum, the National Committee on Quality Assurance, the Institute of Medicine, and even the President's Council of Advisors on Science and Technology! It was an amazingly intricate (and lucrative) physician education/testing/quality assurance cartel that has operated without any legitimate oversight or questioning of their actions for years. It was clear that I (any many others) had opened an entire Pandora's box of corruption in the US medical education system and medical quality and safety empire, the likes of which I could not imagine. At the same time, physicians from other locations wanted change, too. A petition hosted by Paul Teirstein, MD of Scripps Medical Center in La Jolla, CA garnered over 23,000 physician signatures and led him to create a competing credentialing body, the National Board of Physicians and Surgeons (NBPAS). The ABIM, feeling the pressure of legitimate competition, issued their now infamous "we're sorry" mea culpa promising to "listen" and modify the MOC program. Even the New England Journal of Medicine felt compelled to sponsor a limited journalistic "debate" between Dr. Teirstein of the NBPAS and Lois Margaret Nora, MD, JD of the ABMS. The comments were overwhelmingly in favor of Dr. Teirstein. But physicians were no longer fooled. Despite publishing these opposing articles, physicians saw the Massachusetts Medical Society (publishers of the New England Journal of Medicine) promote their own MOC learning program: "Knowledge +". Everyone, it seemed, placed the money from MOC before the needs of practicing physicians and their patients. At the invitation of the Pennsylvania Medical Society in June 2016, I went to the AMA House of Delegates to tell my MOC story and there they all were: the chairman of the board and chief counsel for the AMA, the Senior Executive Vice President of the American College of Physicians, the President and CEO of the American Board of Medical Specialties. The room was packed as they listened, writing notes. The Pennsylvania Medical Society took the lead and bravely issued a formal "Vote of No Confidence" against the ABIM and the AMA House of Delegates later voted to end Maintenance of Certification (MOC) nationwide. There was hope, I thought. Still, the AMA leadership failed to act to end MOC. Many physicians would not rest. Not only had doctors become familiar with the incredible ABIM Foundation condominium story, they learned of the strongman tactics used by the ABIM in an issue of Philadelphia Magazine devoted to the ABIM controversy. Worse still, they saw the veiled threats from a Wall Street attorney levied for exposing the ABIM's felonious "Director of Test Security" in a subsequent issue of the magazine. Unfazed, brave, proactive physicians forwarded legislation across the country to end MOC as a condition of hospital credentials, medical licensure, and ability to participate in insurance panels. State after state attempted to pass legislation, only to realize how difficult it was to do so when they were fighting the hospital and insurance lobbies and colleagues suffering from Stockholm Syndrome as hospital-employed physicians. This year, the Pennsylvania Medical Society organized another event at the AMA House of Delegates meeting to discuss the realities of trying to get anti-MOC legislation passed in state legislatures across the country. The AMA, ACP, and ABMS leadership were not readily apparent this time. They had moved on, coordinating their message and confident in their cash reserves and lobbying team. It became readily apparent to those of us at that meeting that the insurance and hospital lobbyists would stop at nothing to prevent this legislation as intended from going forward. After all, not only does MOC remain a critical revenue stream for our bloated and overreaching US physician credentialing system, it also serves to limit competition for them as they insist this metric serves the "public" at physicians' personal and professional expense. While MOC remains in many parts of the country, through this process we have learned a lot. Multiple states now have anti-MOC laws on the books now with Texas's law going into effect 1 January 2018. Since that law was voted in to place, Houston Hospital Physicians voted unanimously to remove the ABMS MOC requirement for credentialing. So Where Do Working Physicians Go Now? What can practicing physicians on the front line of patient care delivery do? We have two choices: 1) continue the status quo, or 2) organize to end the injustice. MOC is just one example of overreaching and damaging regulatory intrusion on the practice of medicine. It is not okay that the ABIM secretly took at least $77 million of physician testing fees to create their own ABIM Foundation retirement fund and then offshored a hefty portion of that money for themselves. It is not okay that the ABIM, an unaccountable non-profit organization, targeted vulnerable physicians trying to study for their examination using a known felon and their attorneys. 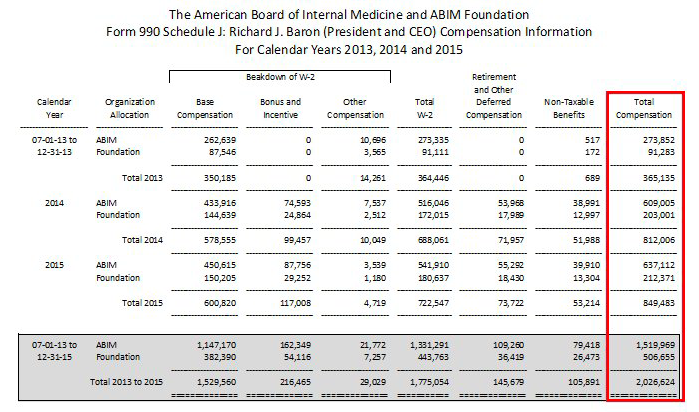 It is not okay that Richard Baron, MD, President and CEO of the ABIM and its Foundation, earned $2 million from 2013-2015 while ABIM had $31.7 million in operating losses. It is especially not okay that the entire Accreditation Council for Graduate Medical Education (ACGME) member organizations continue to condone these activities by failing to act against them. Where evil and hypocrisy are rewarded and even called humane and good, it shows how twisted our words have become and how far corporate medicine has fallen. As our new residents start training this Fourth of July weekend, if US physicians do not act collectively to end MOC, we condone the development of doctors that are little more than excellent sheep. Ignoring what has occurred to our profession due to our earlier indifference would risk the development of a medical education system that manufactures doctors who, as the wise professor William Deresiewicz put it, are "smart and talented and driven, but also anxious, timid and lost, with little intellectual curiosity and a stunted sense of purpose: trapped in a bubble of privilege, heading meekly in the same direction, great at what we're doing but with no idea why we're doing it." Aspiring to be excellent sheep is not in our patients' best interest. We should never forget why we're physicians and whom we truly serve. Organizing is the only way we will end MOC nationwide and the many other intrusions created by clever unaccountable third parties behind closed doors for their own benefit. To that end, I am not talking about unionizing. I am not talking about a partisan group to push a particular health care reform agenda. Rather, I am talking about creating a representative member organization that does three things: (1) represents the needs and concerns of real-life practicing physicians who care for patients day to day, be they employed or in private practice, (2) acts to limit unnecessary, overbearing, and improper regulations against physicians (like MOC), and (3) works to assure that physicians are allowed to remain the principle advocate for their patients without threat from third party intrusions. Everything this organization does would be driven by these three principles. Unfortunately our reality is that none of this can happen without money. It costs money to create an organization, hire a person to answer the phone, and pay an executive director to manage the operations while we continue to do what we love to do - care for patients. It takes money to send someone to testify in front of state legislators, the FTC, the IRS, or lobby Congress on our behalf. It takes money to develop a legal fund to combat the injustice of MOC that has occurred behind our backs. And it takes money to make sure such injustice never happens again. Our nascent organization, Practicing Physicians of America, Inc. (PPA) which has come together on a shoestring and a prayer, has reached out to many of the leaders and organizations involved in the anti-MOC movement. Many have agreed to serve as our advisors. We have already been active on Capitol Hill, worked to coordinate the statewide legislative efforts against MOC, and testified in state legislative hearings. To continue our efforts, PPA is now formally open for membership (and donations) to bring our dream to a sustainable reality. None of our board members are paid. For months we have donated countless hours in our spare time to this endeavor because we each believe in PPA's mission. But there's still an incredible amount left to do. We know we can't do this alone. Such an ambitious project will take a large coordinated effort from the entire practicing physician community to make this organization a sustainable reality and for it to have an impact on a national scale. Many disparate groups of practicing physicians exist with varying agendas, but none of them work as a collective umbrella group to help coordinate common needs of physicians and their patients. This is how we hope to magnify our voices. Membership is how we will celebrate our profession and collaborate with other like-minded physician groups and leaders across the country. It is the MOC issue that has brought us together and will be the MOC issue that guides us as we forge ahead. Take a moment to review the early version of our website, our introductory video by Judy Thompson, MD, and our MOC webpage to educate yourself. Then take a minute to become a member of PPA (or just give what you can). (For those who gave with our initial "soft opening in February" you're already "in" for the first year and will receive a code to apply when you register. Please don't despair if the system does not "know" you yet. Rest assured, your donations have helped us achieve what we have so far). For all of those who have not joined, we need your help, your voice, and your funding to act on our behalf in this anti-MOC fight and to build an organization devoted to the needs of working doctors and their patients unencumbered by special interest funding. The cost for a year is about what many pay for a monthly cellphone bill. Many hands make light work. There is strength in numbers (this is the key: we need a lot of numbers) as we forge ahead. Each little bit helps. We should remember that only 15% of physicians are members of the AMA and AMA receives only 12.1% of its revenues from its membership. The vast majority comes from credentialing, insurance commissions, and licensure of their CPT codes. PPA hopes to represent the far greater silent majority of practicing physicians who work on behalf of their patients' best interest and want to end corrupt and burdensome regulatory intrusions. For years physicians on the front line of patient care have yearned for an organization that speaks for them. Now the skeleton of that organization is in place. Help us grow to end the ability for unaccountable (non-profit) organizations like the ABMS, their member boards, insurance companies, and hospital groups to deprive physicians of our right to practice medicine on the basis of unproven, intrusive, and financially-conflicted programs like MOC. Please join us. Then pick your phone and personally ask your colleagues to do the same. We need your help to make this dream succeed.